This recipe for Roasted Rainbow Cauliflower Potatoes and Garlic is an easy side dish that can be made any night of the week. 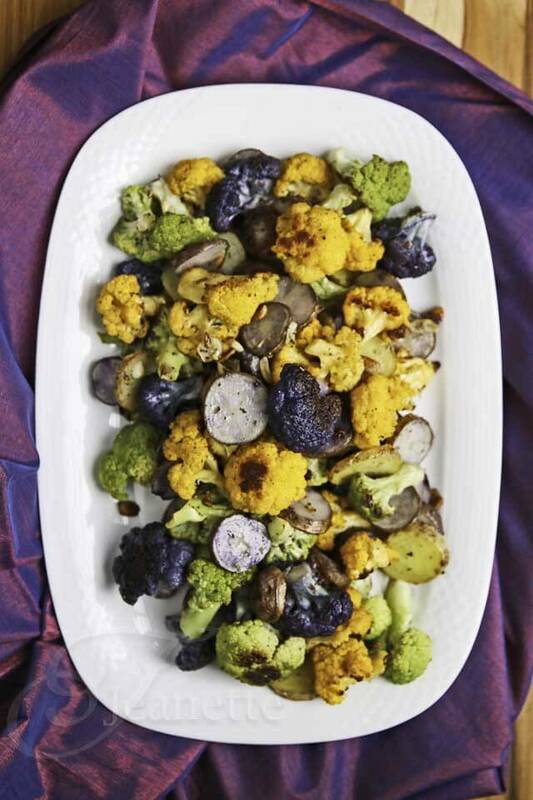 Made with purple, green and golden cauliflower, it’s elegant enough for company as a holiday side dish. I’ve been making these Roasted Garlic Cauliflower and Potatoes ever since my brother-in-law introduced them to our family years ago at Christmas time. I still remember when he made them for the first time for my family. My brother-in-law is an amazing guy, probably one of the sweetest guys you will ever meet, plus he cooks…how awesome is that! He, my sister-in-law, and their two beautiful daughters have spent every Christmas with our family, as far back as I can remember. We are so fortunate to have them in our lives. They’ve been with us through thick and thin, and I feel so blessed to have them. Although they live in another city, at the drop of a dime, when we have needed them, they have driven to our home in the middle of the night. That is family. So, each Christmas, we take turns cooking dinner. Thankfully, my brother-in-law is a great cook, so he always offers to make one of the dinners during their stay with our family. The year he made these Roasted Garlic Cauliflower and Potatoes, I was a bit worried. I had never made cauliflower for my boys, fearful that they’d spit it out. So, I couldn’t believe it when my eldest son (who is the pickiest eater out of the bunch) declared how good this was. He’s the pickiest vegetable eater out of all four of my boys, so I was thrilled that he loved this cruciferous vegetable. 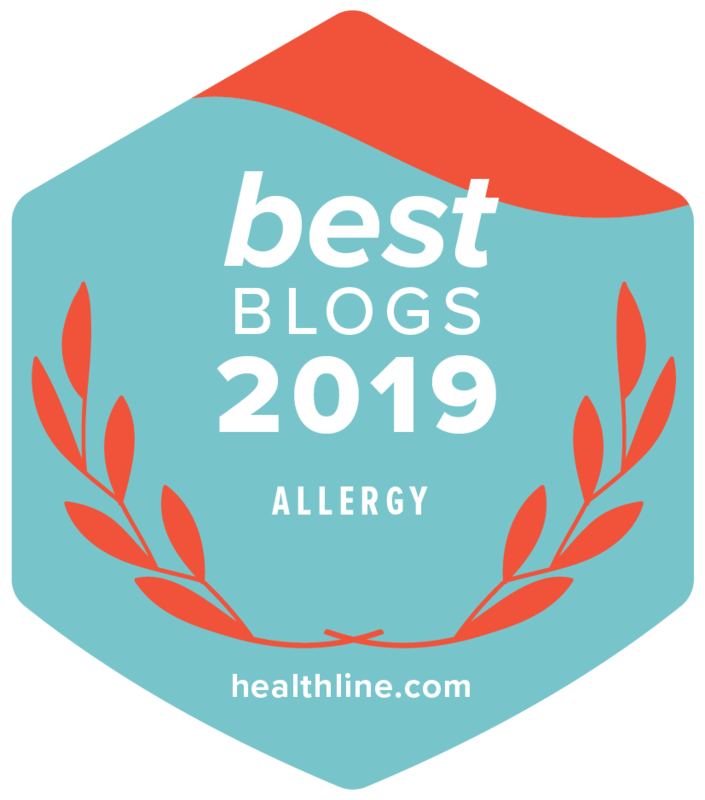 Ever since, I have made Roasted Cauliflower on a regular basis, and am so glad that my brother-in-law introduced my family to this easy preparation of a super healthy vegetable. 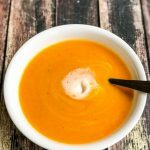 You can learn more about cauliflower and its health benefits in my original post with this recipe. 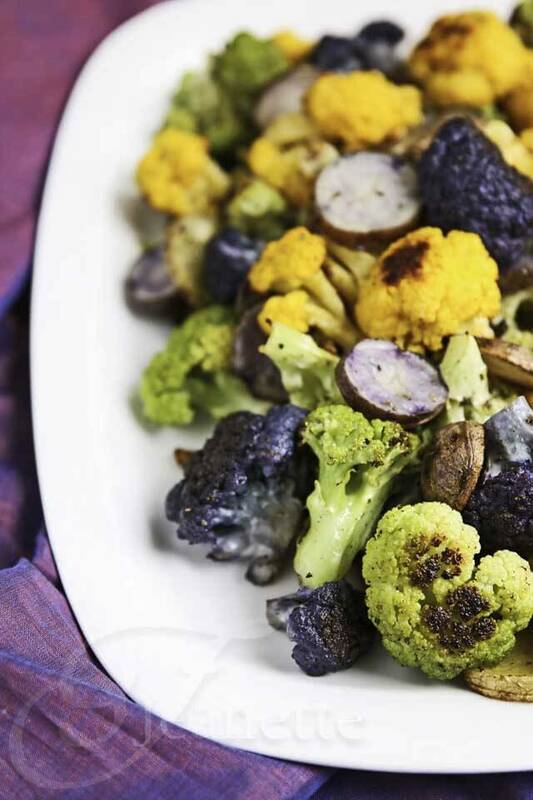 This simple dish is elevated by using a variety of naturally vibrant cauliflower ~ purple, green and golden cauliflower as well as purple and white potatoes from the farmer’s market. I love it when nature provides a rainbow of colorful vegetables that can be simply prepared yet make such a statement. This dish is especially beautiful when made with a variety of cauliflower that are all different colors. Toss all ingredients together. 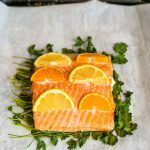 Place on parchment paper lined baking sheet in a single layer. Roast until just tender, about 20-25 minutes. We are big cauliflower fans and I love how pretty and simple this dish is to prepare 🙂 Will definitely try it soon, thanks for sharing Jeanette! Kelly – my kids love cauliflower which makes me very happy since it’s so healthy. This is super easy and quick. Hope you enjoy it! What a fantastic looking dish, Jeanette! I’m sharing it on Facebook later because many will want to include this recipe in their Thanksgiving plans. I know I do! 🙂 That second photo is so beautiful, but they all show how appealing this dish must be. 😉 Love that your BIL is such a gem in so many ways, too! 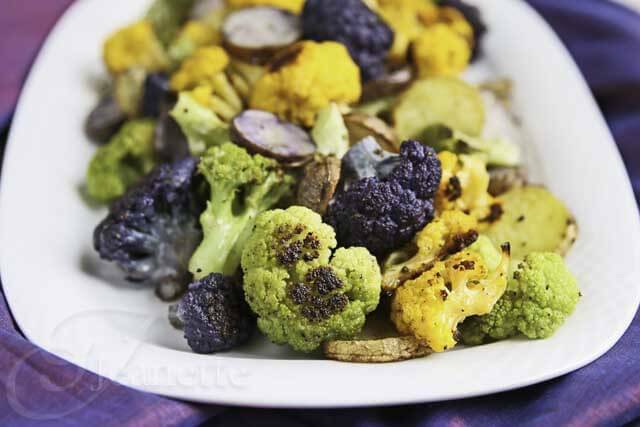 A perfect side dish and those cauliflowers are so colourful and beautiful! Thanks EA – my kids never liked cauliflower until my brother-in-law made it. I think including potatoes in it made it a lot more palatable the first time they tried it. He made it with white cauliflower and potatoes so since they were the same color, I think it made it easier for them to accept. 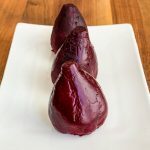 what a gorgeous side dish! This is simply gorgeous. I love cauliflowers and wish it’s more popular ingredients (I still don’t’ know why people don’t like them. I love the texture and taste!). 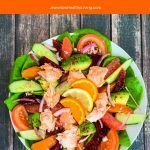 Having multiple colors would help kids (even adults) interested in eating them. 🙂 I’m going to try sage with this – haven’t done that before. Thanks Nami – aren’t the different cauliflower varieties pretty. I love the fact that nature provides such beautiful vegetables. My kids were definitely intrigued by the different colors as was a friend of mine that I gave some to. Makes this more fun to eat! 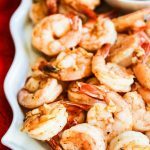 This is a fantastic dish that will brighten up everyone’s holiday dinner table!! Thanks Jane – yes, this would be perfect on the holiday table – such an easy dish to make, but made extra special by using different colors of cauliflower. 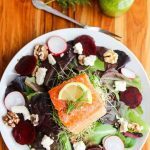 Your salads are the most colorful and beautiful looking dishes ever. This would be a super healthy and fancy side for the coming celebrations. Love it. 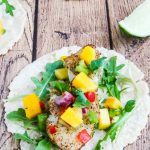 Wow, this recipe looks beautiful (as well as delicious!) I’ve never seen such colorful cauliflower, where do you recommend going to find it? Wow, isn’t that a feast for the eyes. I truly believe in roasting vegetables to bring out their best flavor because I think cauliflower is up there with brussel sprouts as the ‘feared vegetable’. I love how colorful this is!! It just makes me so happy. 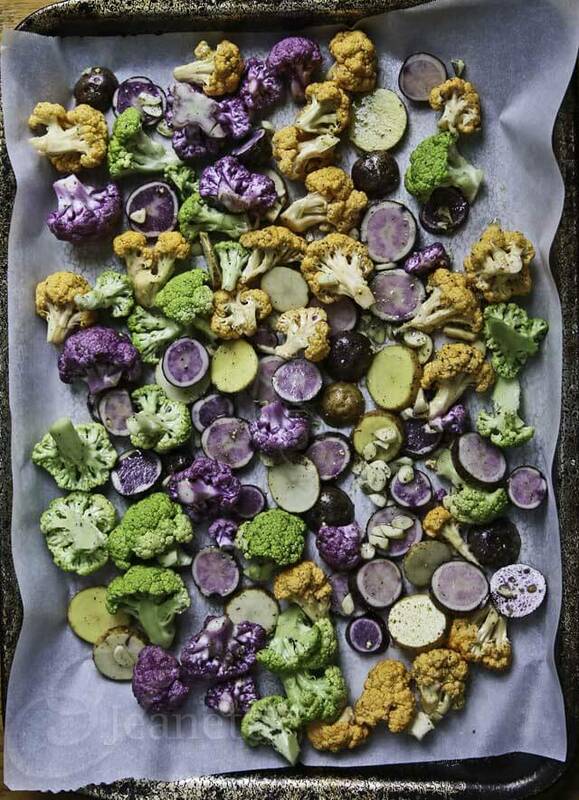 I’m not a natural cauliflower lover, so anything that makes the vegetable more attractive — like color! — really helps me. This will be gorgeous on the holiday table. 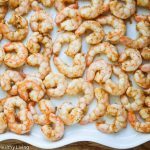 These are my favourite kind of sides – simple and nutritious. It always amazes me how roasting enhances the flavour of vegetables; what a pretty dish too! So colorful! I love that photo of the vegetables on the roasting pan. Love this colorful veggie dish! I love roasting vegetables! It really brings out the sweetness. Pinned and bookmarked! 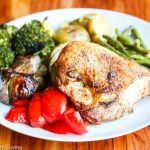 Thanks – roasting is one of the easiest and delicious ways to prepare vegetables and definitely brings out the natural sweetness. Thanks for sharing this! This was just a beautiful and delicious dish. I tried the purple and yellow cauliflower for the first time today. I found the different variety of cauliflower at my local farmers market. I added garlic, Parmesan and Asiago cheeses, and parsley to the recipe and I omitted the potatoes because I am currently doing no carbs. So Delish. Will make it again for sure. 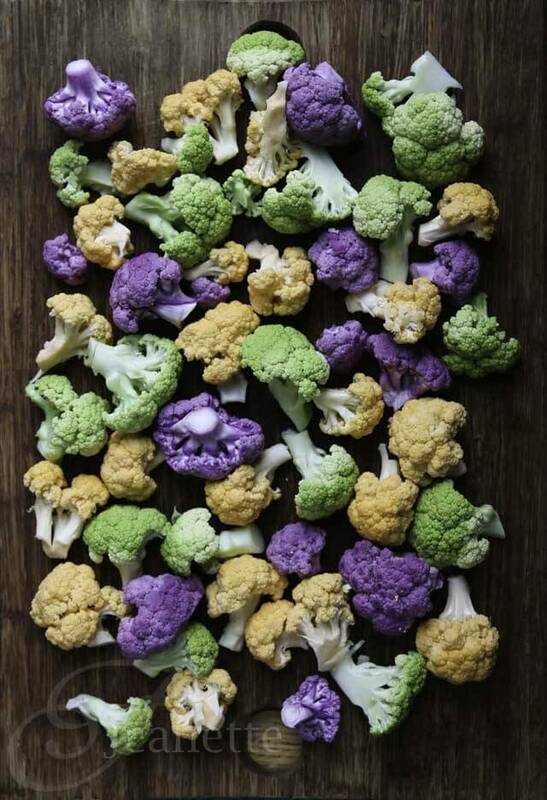 I love colored cauliflower, especially the purple variety. 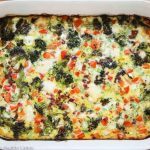 Love your addition of cheeses and parsley + low carb without the potatoes!